There is an eerie silence at Uppal’s Chilkanagar area in Hyderabad as people peek out of their houses at each passing visitor. The streets of the populated locality, which are generally silent and deserted, witnessed a flurry of activity a day earlier. Chilkanagar had witnessed a horrific crime on Thursday, when the severed head of a three-month-old baby’s head was found atop a building. The head of the female baby was found on the roof of one Rajashekar, a cab driver. Residents of the single-storied building say that they are still in shock. The head was spotted by Balalakshmi, Rajashekar’s mother-in-law, when she went to dry clothes at around 11 am on Thursday. “All the children in the house had left for school when I went up. I didn’t notice it immediately. 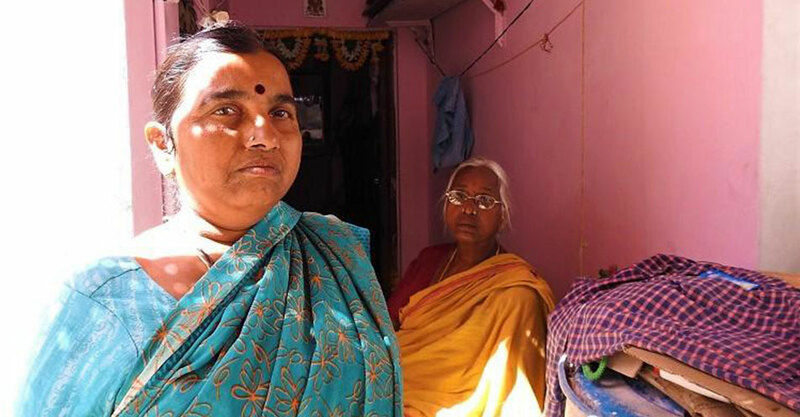 I was drying clothes and I looked down suddenly, and I saw it,” says Balalakshmi, as her voice chokes and she begins tearing up. As she shrieked for help, neighbours from adjacent buildings also came out and saw the severed head. 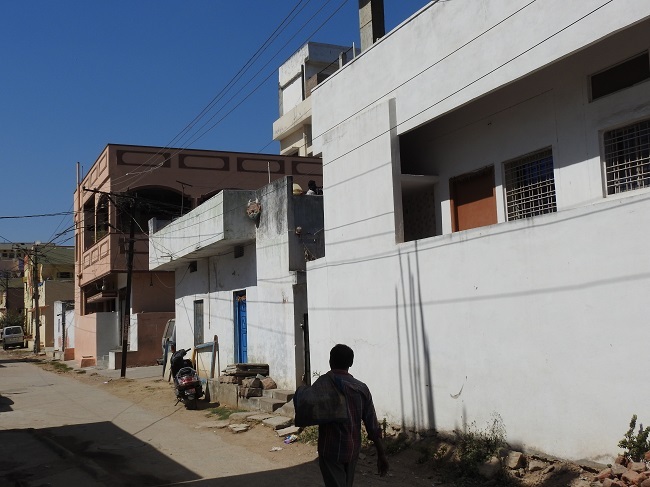 Two other tenant families also live in the house besides Rajashekar’s family. “I don’t know how anyone could commit such an atrocious act. Why did they choose our house? We were living a peaceful life, and now we can never undo what we saw with our eyes,” Balalakshmi adds, as she begins sobbing. Even more eerily, the head did not show any signs that it was flung there, as there were no blood marks. This suggested that someone entered in the night, climbed up the stairs, and placed it there. “They could have just thrown the head on the road or somewhere else, and we wouldn’t have to face all this. 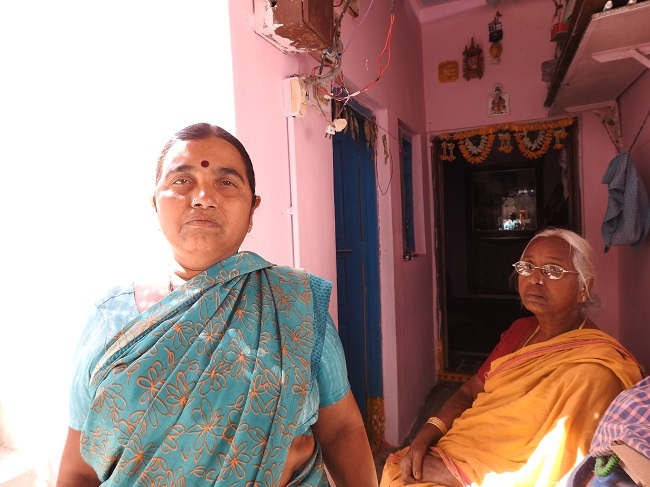 My husband has high blood pressure, and none of us in the house have been able to eat or sleep properly since yesterday,” Balalakshmi says, as she breaks down completely and begins wailing. As she is escorted away, other family members say that they have no clue about the motive of the crime or who might have done it. “There are pregnant women in the area, but none of them delivered recently. The baby doesn’t look like it is from this area,” a family member says. Nagaraj, a shopkeeper who sits right across the house, also says that residents are shocked and clueless. “Everyone here mostly keeps to themselves here, and we all work hard. This is the first time that such an incident has occurred over here,” he says. Another talk doing the rounds in the area, is that the baby’s head may have been cut off as part of a human sacrifice ritual, as the incident took place on the night of the lunar eclipse. 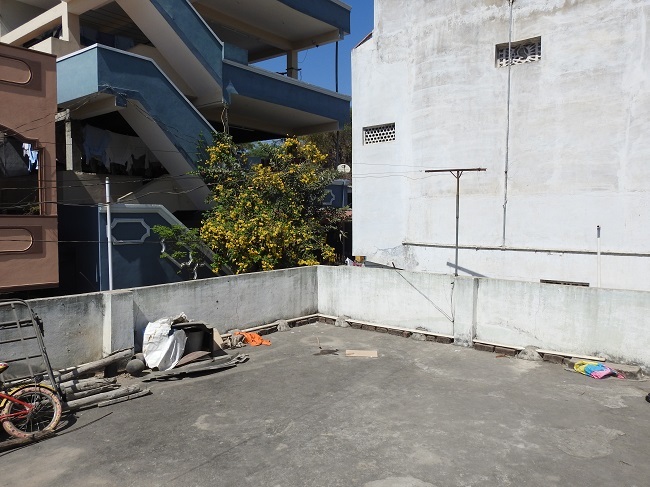 On Tuesday, when the Uppal police called in a dog squad and the CLUES (investigation) team to collect forensic evidence, a sniffer dog circled the roof a few times, before leading the investigating team to the neighbour’s house. 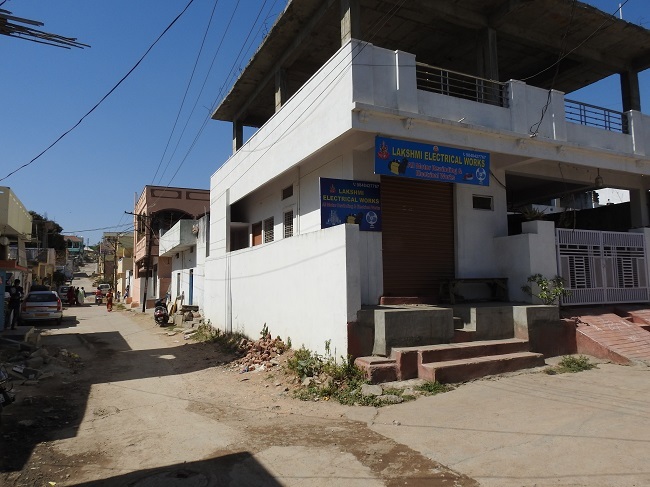 The adjacent house, which doubled up as an ‘electrical works’ shop in front, had two residents, Narahari and his son Ranjith. The sniffer dog went straight to a dustbin at the neighbour’s house, where police found hair that might have belonged to an infant. Following this, the father-son duo were detained. While the police refuse to comment on the detention on record, locals say that Narahari was worried as his son had signs of mental illness. “I think he has only done it. He was becoming reclusive of late, and may have gotten lured by some tantric ritual promising his son some mental stability if he participated in a human sacrifice during the lunar eclipse,” alleged a local, refusing to be identified. Meanwhile, the police are yet to find the torso of the baby, and sent the decapitated head for autopsy to Gandhi Hospital. The baby has also not been identified yet. Two policemen have been posted outside the house where the head was found, and CCTV footage from nearby areas have been obtained. Rajashekar has also been detained. A case has been registered under Section 302 (Murder) and 201 (Causing disappearance of evidence of offence, or giving false information to screen offender) of the IPC.